Congratulations to ANDREW BABCOCK for his recent promotion to Manufacturing Manager! Andrew has worked in the Besser shop for over five years as a Heat Treat Attendant, continuously strengthening his knowledge and skills. In his new position, Andrew will be responsible for managing plant floor workflow and shop floor employees, specifically in our Heat Treat Department. Welcome, JOSHUA KOLE, to Besser as our newest Electrical Controls Engineer! Josh will be working at our Zeeland, Michigan facility, dedicating his time to the electrical design, development, and improvement of our products. 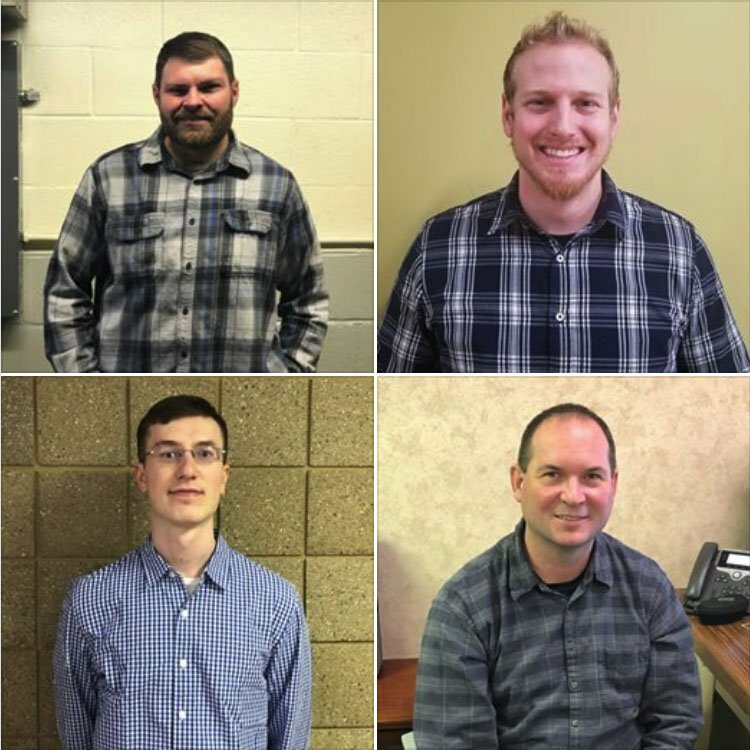 Another congratulations to NATHANIEL LATUSZEK for joining our Engineering team in Alpena on a permanent, full-time basis. Nate graduated in 2017 from Western Michigan University with a Bachelor’s Degree in Mechanical Engineering and has since worked for Besser as a contract employee. We are thrilled to officially call him an employee-owner! Also new to our Engineering Team is CHRISTOPHER O’BRYAN. Chris is also supporting our Masonry and Hardscape team as a Mechanical Engineer, based in Alpena, Michigan. He holds a Master’s degree in Engineering from Oakland University and has over twenty years of engineering experience under his belt. Welcome to Besser!